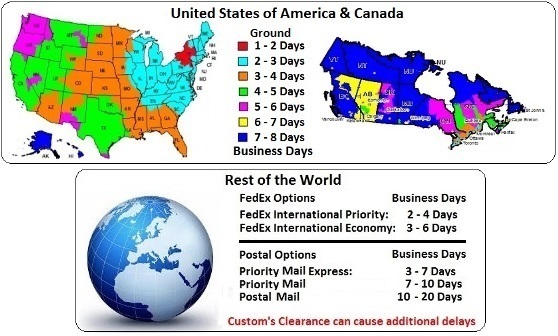 Same Day Shipping cutoff time for business days is 2:00 PM EDT. In stock orders received after 2:00 PM EDT cutoff will ship next business day. Some items are manufactured and/or assembled at the time of order, or may be temporarily out of stock which prevents immediate shipping. If your order is time sensitive please contact us first to confirm that we'll be able to meet your requirements. Want to ship on your FedEx, UPS, or DHL account? 3 In the "Special Code Box" box below the messages box enter “FedEx”, “UPS”, or "DHL"
4 Press the RECALCULATE button.